This popular bike racing game is now available in HTML5! Get on your motorbike and try to beat 25 challenging levels as fast as you can. Race up and down the hills, jump over obstacles and perform sick stunts in the air. If you crash you can simply start from the latest checkpoint, but you lose time. So try to complete the track in one go, plan your flips ahead and wait for the perfect moment to pass dangerous parts. Win stars at the end of a level and unlock cool new bikes. Are you ready for some stunt action? Welcome to our famobilicious HTML 5 cross-device game catalog. Here you can find more than 300 non-exclusive and exclusive licensed HTML5 games, reviewed, categorized and hand-picked for every taste. Feel free to browse through our games created by developers from all around the world. 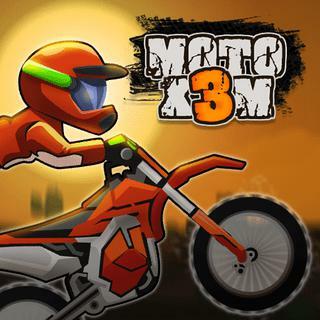 If you like Moto X3M games, you should check out the other games from our famobilicious game catalog. Do you need help? Why don't you check out our Help & Support category and see if your questions and problems can be solved.